I feel pretty.. Oh so pretty..
Melody is a fantastic stylist. She did my cut, wash, and curls today and I'm so happy. I left feeling amazing and pretty! My hair is very long and started to get 'tatty' so I asked for a couple of inches to be taken off and the difference it has made is incredible. The salon is beautiful, and everyone is friendly and welcoming. What a lovely review Becky, thank you so much. Melody will be over the moon with this review. Hope to see you in the salon again soon. Thank you for your review Steven. 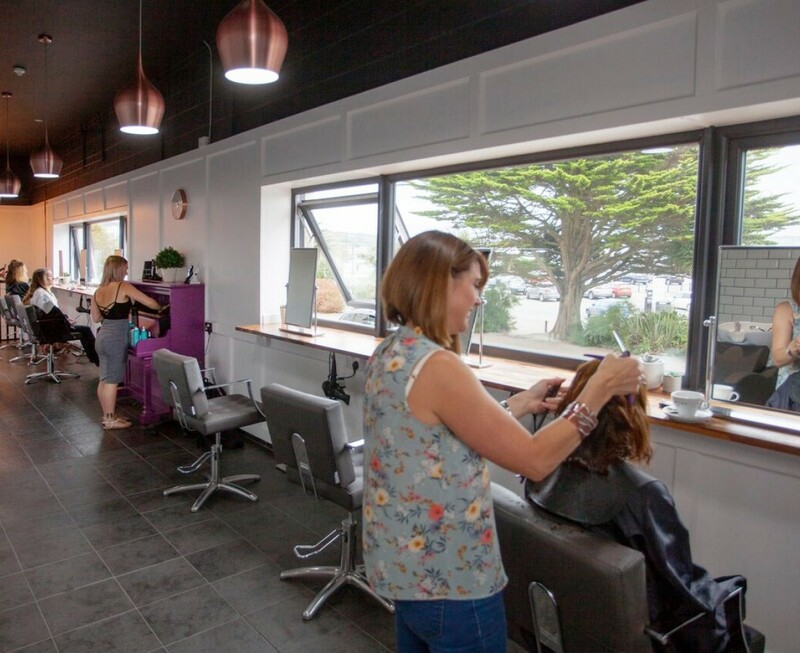 We hope to see you in the salon again soon. Thank you for your lovely review Francesca. It was lovely to see you and adorable Arthur, hope to see you again soon. After having my baby I needed a change. Freya advised me and made me feel less nervous about having the lenght cut. I feel great with my new hair cut. Thank you freya. My hair has a new home. I was spoiled by the people who cut my hair in London and dreaded whether I would find anything of that quality in Penzance. Lo and behold I found it! Jade cut my hair, she listened to my clumsy description of what I was looking for and the result was quality and exactly what I was looking for. Great, friendly service. I won't be going anywhere else from now on. Thank you so much for such a great review. It means the world to us. It was great having you as a guest in our salon. Thank you Hannah, you are a 5 star client, we love when you visit. Thank you for your 5* review Elaine. We really appreciate your feedback. Thanks for being a great client! To be honest I was disappointed when I left as I was expecting the highlights to lift a lot more. I still felt like my hair had a dull dark look compared to what I was expecting. I have had highlights over a darker box dye before and lifted brilliantly so I was expecting the same thing at your salon for £65. Thank you for taking the time to leave your review, I am very sorry you feel disappointed that your highlights didn't lift as much as you were expecting. As a salon it is our policy to above all else, maintain and protect the health of your hair and will never push hair beyond its limits. Especially when we are dealing with removing a box dye, home colourants are so different from one to the other that we treat them with the utmost caution. Some lift out with ease, some are so stubborn and some contain metallic salts that create a terrible reaction and instant breakage. Lousie explained to you that removing your dark colour would take time and a few processes. Going from light to dark carefully can take quite a few applications over a significant amount of time. You have had the first step, the next process will take it even lighter and hopefully be closer to your desired end result. Thank you so much for taking the time to leave such a lovely review Jo. We loved seeing you in the salon, thank you for your loyal custom and support over the years. Thank you so much for taking the time to leave such a lovely review Alison. We love having you in the salon. If you want an uplifting hairdressing experience then do go to Hunter & Walsh. The wonderful team of stylists are always so welcoming, friendly and respectful to their clients. They truly make you feel special and the result makes you feel gorgeous! Thank you so much for your lovely review Jacqueline and thank you so much for being a great client and friend to the salon. We always look forward to seeing you and Sophie in the salon. Oh it was lovely this morning, being pampered. Hair washed with massage. Coffee and a lovely cut & blow dry. Everyone so friendly. Thank you for your lovely review Sophie and for your loyal custom and support over the years.